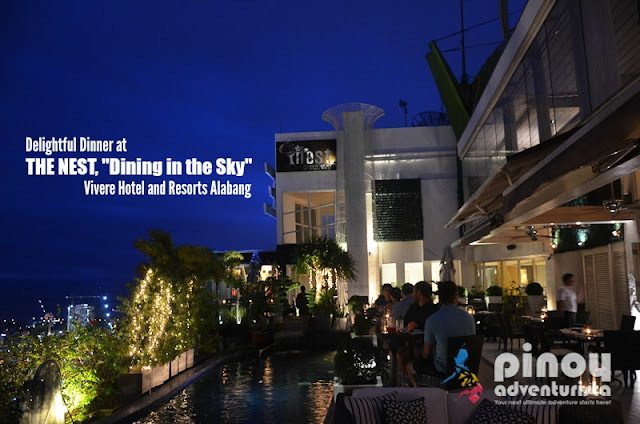 The Nest, "Dining in the Sky" is Vivere Hotel and Resorts Alabang's roof deck restaurant located at the hotel's 31st floor. 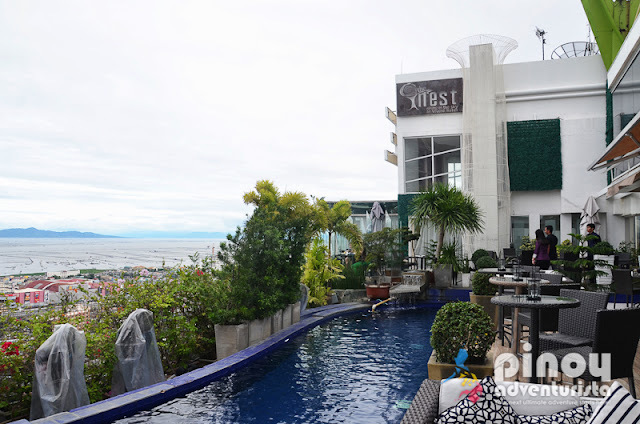 What makes "The Nest" a standout is its awesome al fresco dining area complemented with a sweeping and breathtaking views of the city and Laguna de bay. The first time I heard about The Nest, I instantly got interested and at the same time curious as to how is it to dine in a restaurant on top on a hotel building with an amazing view of the city? 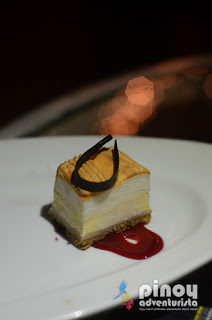 That is why, when we were invited by Vivere Hotel and Resorts Alabang (Check rates and Hotel info) to check out their restaurant during our stay, I instantly said "yes!" We went to the restaurant just before sunset. 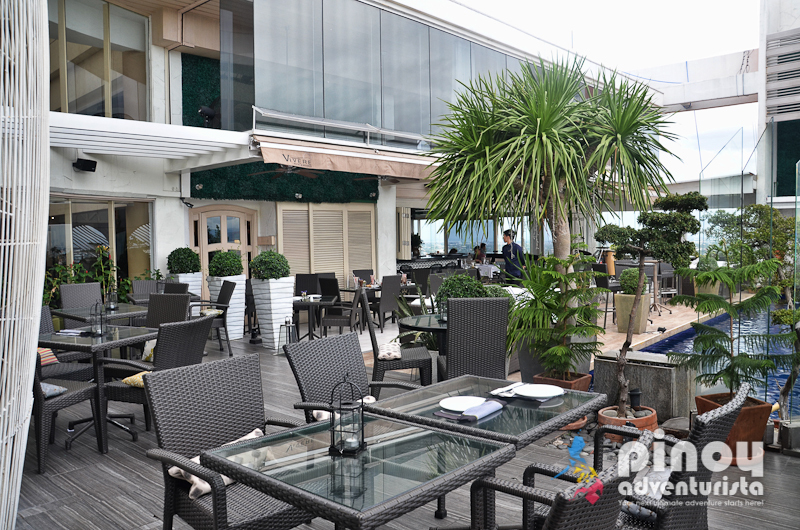 Upon entering, one would not fail to miss the high-end ambiance coupled with stellar views that the restaurant offers. After settling on our reserved table at the breezier side of the restaurant, we enjoyed the view of the setting sun while checking on what their menu has to offer. When the night kicked in, the restaurant becomes more beautiful with accents and lights that give more drama and romantic feel to the venue. 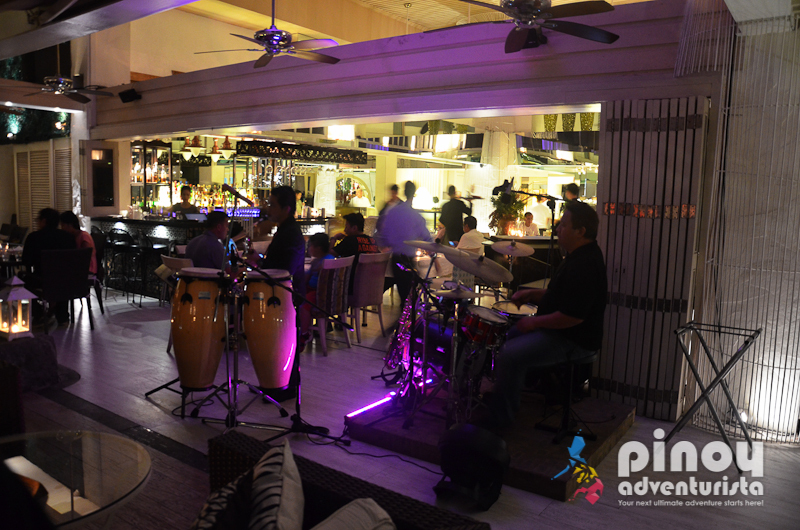 Add to that, you'll also get to be serenaded by the restaurant's band while indulging on their great tasting food. 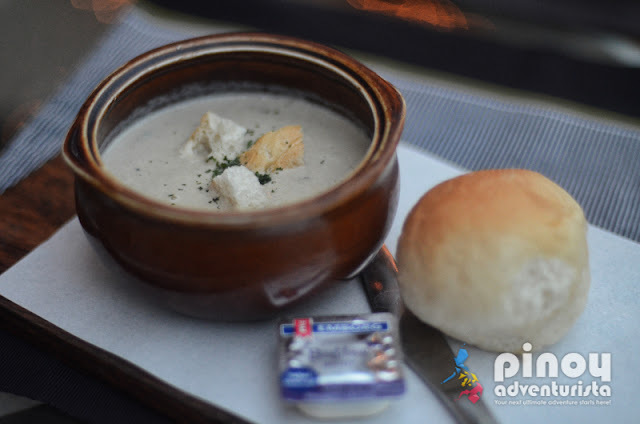 We started our dinner with a hot serving of creamy Fresh Mushroom Soup served with bread rolls and butter. I've tasted different kinds of mushroom soups in the past, but this one has a distinct fresh taste and very flavorful. A great way to start our delightful dinner at The Nest. 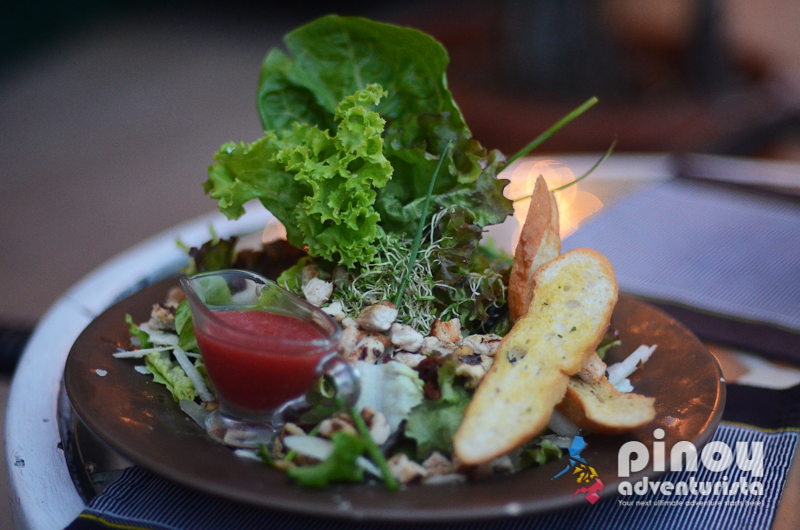 We then had a refreshing serving of Caesar's Salad filled with garden fresh greens. Tossed in homemade garlic mayonnaise and anchovies dressing, it was sprinkled with chopped bacon, Parmesan cheese and croutons. Yummmmm! 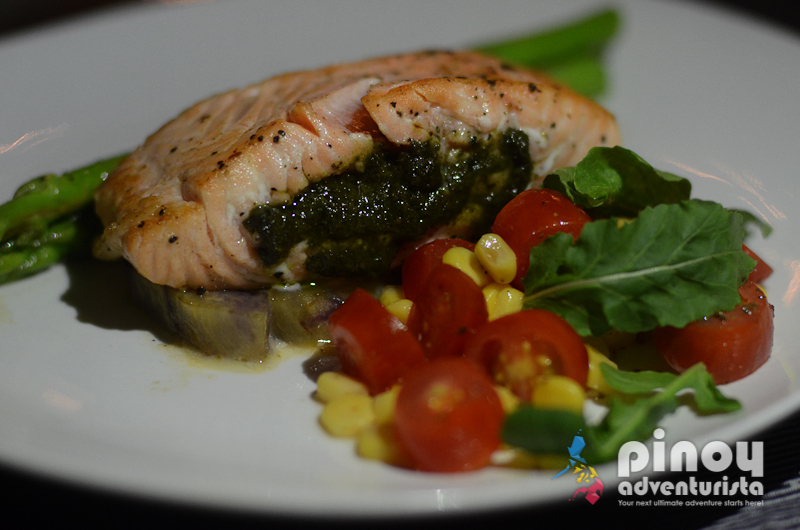 For the main entrées, we had Pesto Stuffed Salmon Steak and Korean Barbecue Set. The Pesto Stuffed Salmon Steak is made of perfectly pan seared salmon fillet stuffed with homemade pesto and served with fresh tomato & corn salsa and caramelized sweet potatoes. The Korean Barbecue Set is so good! 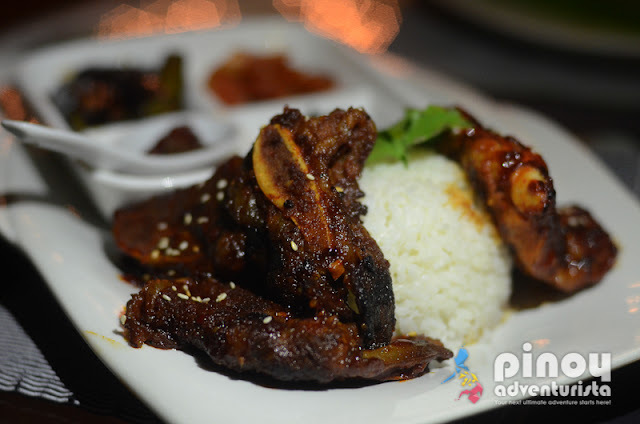 It is a delightful ensemble of barbecued chicken thigh fillet and thinly sliced beef shortribs served with a set of 3 Korean vegetable condiments and steamed rice. I love the the beef is so tender and so flavorful. Though it's a bit hot for my taste, I guess you can request to lessen it if you're not into spicy food. But, I suggest you try its original taste. It's really, really good! 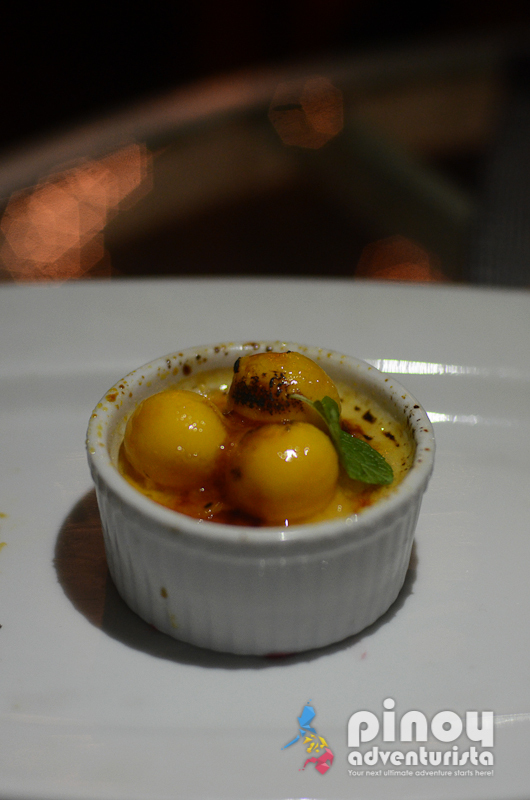 For dessert, we had a set of their delicious and mouthwatering desserts. The Dessert Sampler is a combination of their 3 best-selling desserts in petit portions. 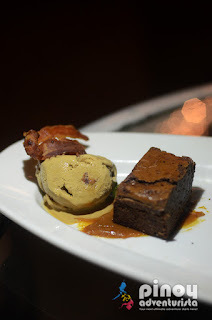 It has Mango Crème Brûlée, Salted Caramel Brownie with homemade bacon ice cream and my favorite, Frozen Brazo de Mercedes. This is a sure hit, not only for the kids but for anyone with a sweet tooth. 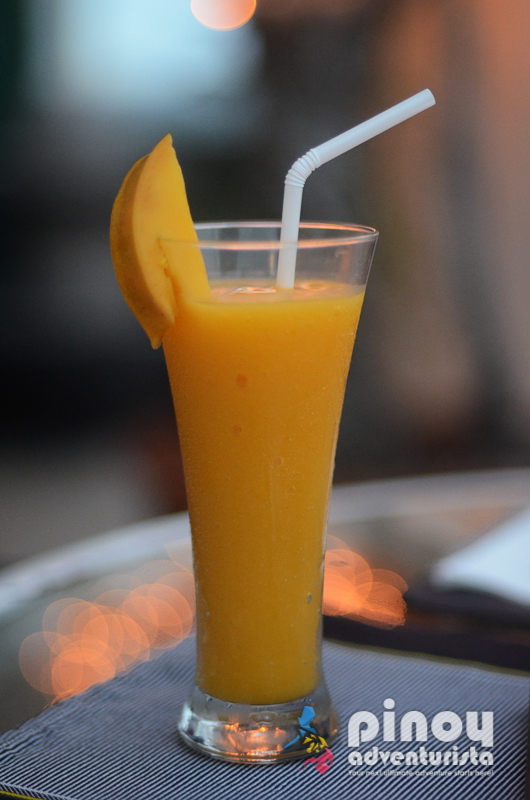 We ended our delightful and very satisfying dinner at The Nest, "Dining in the Sky" with Hot Calamansi drink and a refreshing glass of Fresh Mango Shake. 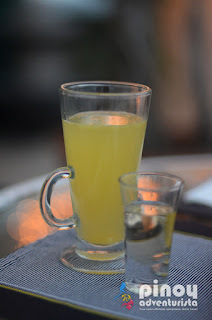 When dining at The Nest Alabang, I recommend that you take the table on the verandas as it gives you a very stunning view of the city at night while enjoying the cool breeze of the air. Overall, we had a memorable and delightful dining experience at The Nest, "Dining in the Sky" at Vivere Hotel and Resorts Alabang. 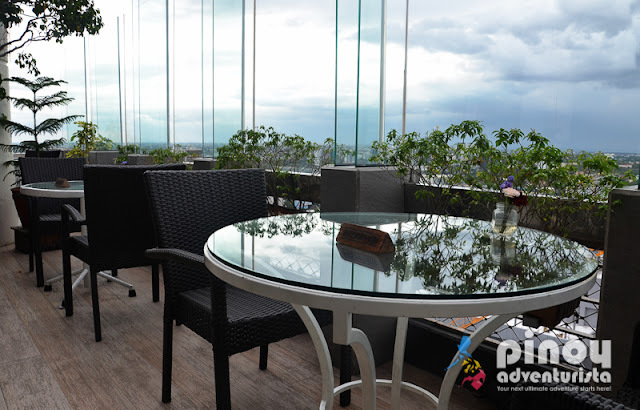 The food were really great, the customer service is impeccable and the ambiance is truly "one of a kind" dining in the sky experience in this part of Metro Manila. 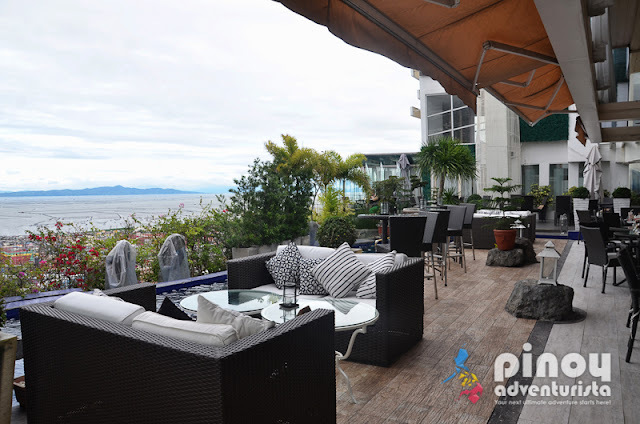 This is a nice place to dine with your family, friends or with your loved ones. I'm quite sure, it will also be a dining experience in the sky that is worth remembering. The Nest, "Dining in the Sky"
Disclosure: Vivere Hotel and Resorts Alabang invited us for an overnight stay in Alabang. Thank you for having us! We truly had a memorable stay!